Independent Audiologists Australia - Frustrated by Hearing Loss? 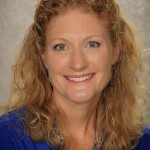 As audiologists, our goal is to improve communication, which we know can be affected by hearing loss to have a negative impact on quality of life without intervention. 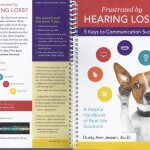 Dusty Jessen AuD offers a unique book, providing tools for those with hearing loss and their communication partners to recognise, target and address the direct source of communication breakdowns. She offers an essential guide to optimising the use of hearing and listening in social situations, beyond the use of hearing aids, bringing the advice often offered by audiologists into real life examples that everyone can adopt. This book aids everyone to achieve positive hearing and communication rehabilitation through education and the promotion of patient/family centred rehabilitation. The content of this book is fundamental to improved communication. Independent Audiologists Australia is proud to distribute the Australian version of Dr Dusty Jessen’s helpful resource. When you purchase a copy, you email address is passed on to Dr Dusty Jessen who will extend your self-help rehabilitation with an online email e-Tips programme. Complete the following order form to obtain your copy of Frustrated by Hearing Loss? and unlock the 5 keys to Communication Success for yourself, your family and your friends.